We love your typical breakfast foods like waffles, pancakes, eggs, hash browns etc, but most days we don’t have time to make an elaborate breakfast, so we stick to things we have one hand, or faster foods like granola, green smoothies, toast or oatmeal for the everyday. Sunday is generally the only day of the week that we actually have time and want to make a big breakfast, but that being said, this year we have church at 9am(it changes each year) and often times Scott has meetings before church so we’ve made it a weekly tradition to have breakfast for dinner on Sundays. Home made, baked hash browns are one of the breakfast items we make frequently (feel free to search my ‘recipe’ tab for more of our favorite breakfast recipes). For our family of 7, we usually use 2-3 large russet potatoes which we peel and cut into 1/2 inch cubes, sprinkle with oil and spices and cook for about half hour until they’re golden brown on the edges (I LOVE crispy hash browns! And you know they’re getting crispy when they’re browning on the edges..just watch it because you don’t’ want them burning). This many potatoes leaves us with zero leftovers, but that’s okay because we prefer hash browns fresh out of the oven so they’re nice and crisp. We cook our hash browns on silicone baking mats, but parchment papers works great too. By the way, right now Costco has a 3 pack of silicone mats (2 big, one small) for around $18. I bought one before I knew they had them at Costco, for $15! One! So I bought the one’s from Costco as well :), and now I have plenty. Preheat oven to 420 degrees. Line a baking sheet with a silicone mat or parchment paper. On the pan or in a large mixing bowl, drizzle the cubed potatoes with olive oil, sprinkle with spices and mix together. 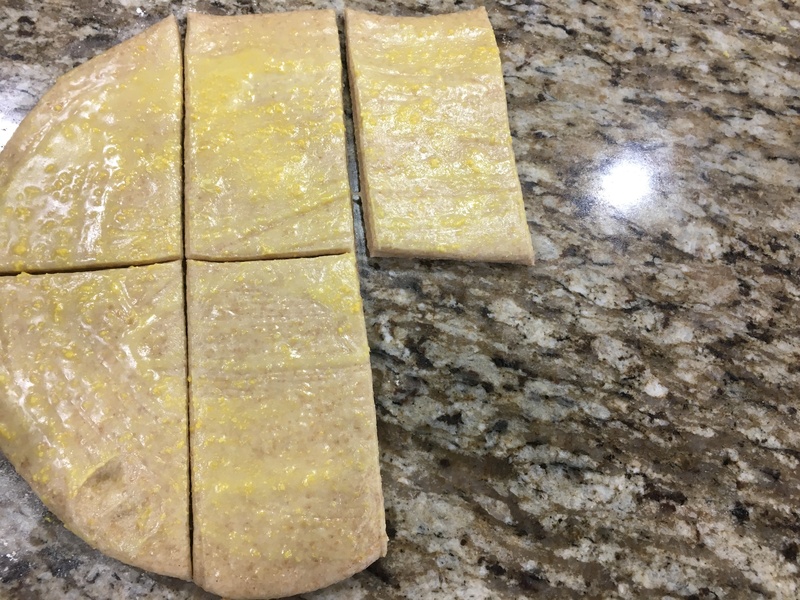 Spread out over pan so they’re not overlapping, and bake for 20 minutes, pull out and stir, and put back in oven for another 5-10 minutes until edges are lightly browned. Allow to cool for a couple of minutes in the pan. Serve warm. Life is busy these days, whether you work, go to school or are a stay at home mom (like me with my five kids!) and I’m always looking for ways to save time, and that includes with food. But at the same time, I am not willing to sacrifice my health or the health of my family for convenience. Since we’ve been eating healthy, whole foods for the past 6 or so years, I’ve learned a few things about making quick and healthy meals. Planning ahead and being prepared is important because when I’m hungry and needing to eat, I’m not going to wait for something to cook for very long, and I’m not going to take the time to chop up a million different things. 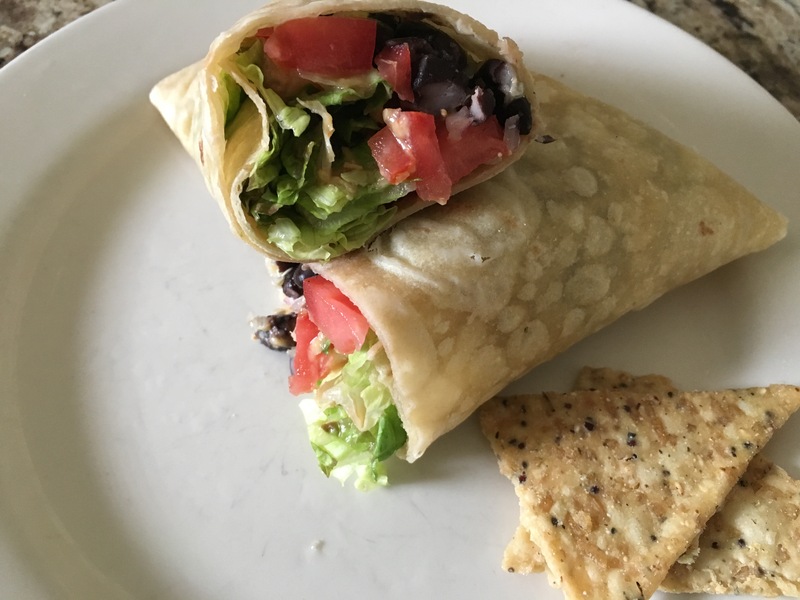 For example, I make my crock pot of black beans once a week, freeze half, and now I’ve got fresh and yummy home made black beans all week long that I can use for dinner or throw in my salads at lunch. And my crock pot black beans literally take 5 minutes to prep. 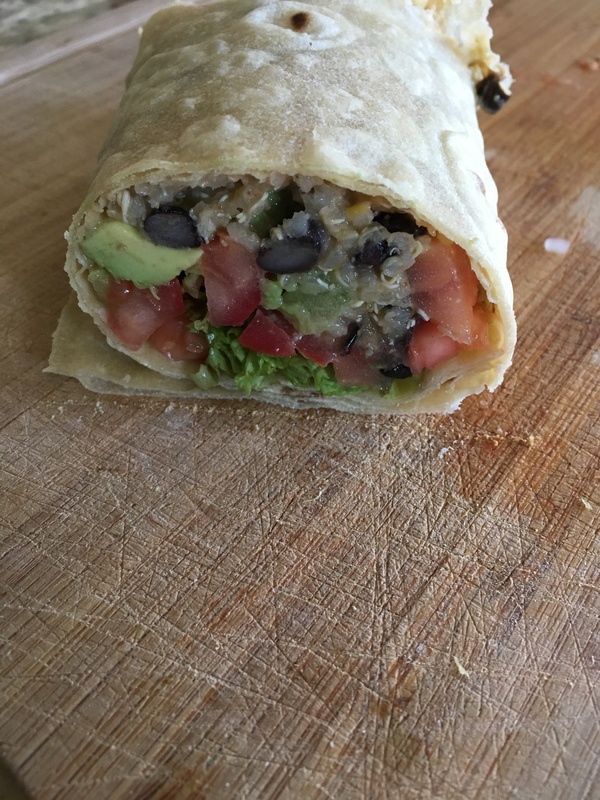 Black beans are not expensive either, so now you’ve got healthy, quick food on a budget. I do the same thing with my quinoa and brown rice. 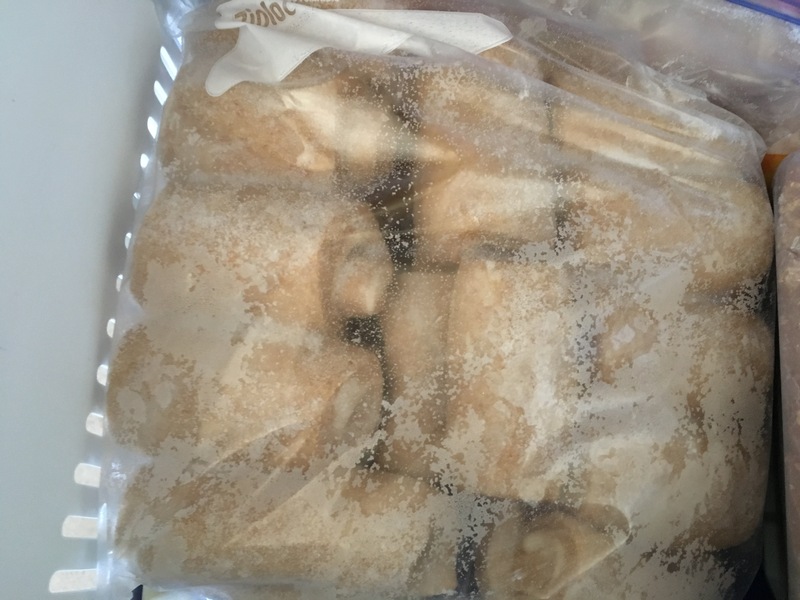 I usually make one batch a week and just store it in the fridge and then it’s ready to grab and go for a quick meal. I also find it helpful to cut up an entire head of lettuce, chop up a whole onion, cucumber, bell pepper, tomato or whatever produce I’ll be using at one time, that way I only have to take out, wash, and then clean up after this whole chopping process once and then they’re all ready to go. I am SO much more likely to have a big salad for lunch when things are all ready pre-cut (and cooked like my black beans) because I’m so busy that I’m usually feeling very hungry by the time I can even think about food and if I have to take out all my separate produce items and wash them and cut them etc, I just end up doing something faster and easier. So, planning and prepping is important. And do it on a day/time that’s not super busy for you. 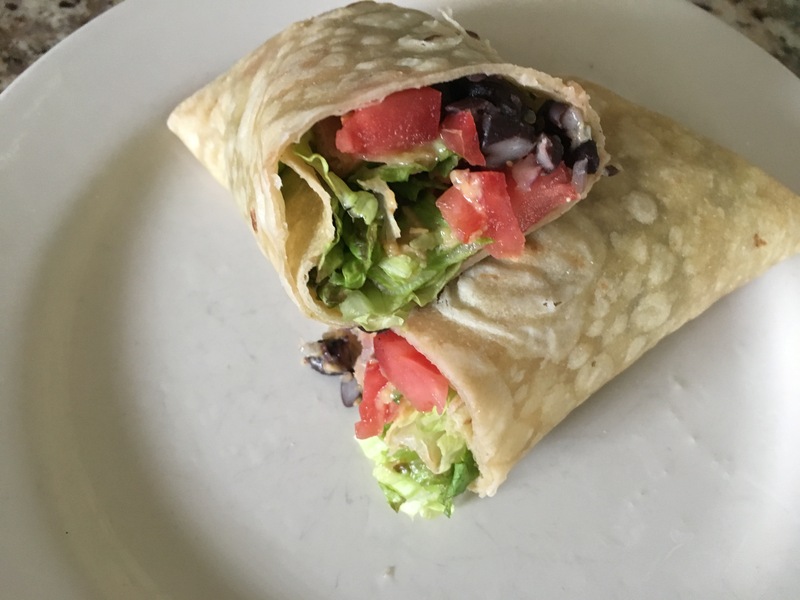 I often have salads or leftovers for lunch, and sometimes I’ll change up my salad by putting everything in a wrap. You can use whatever kind you like. 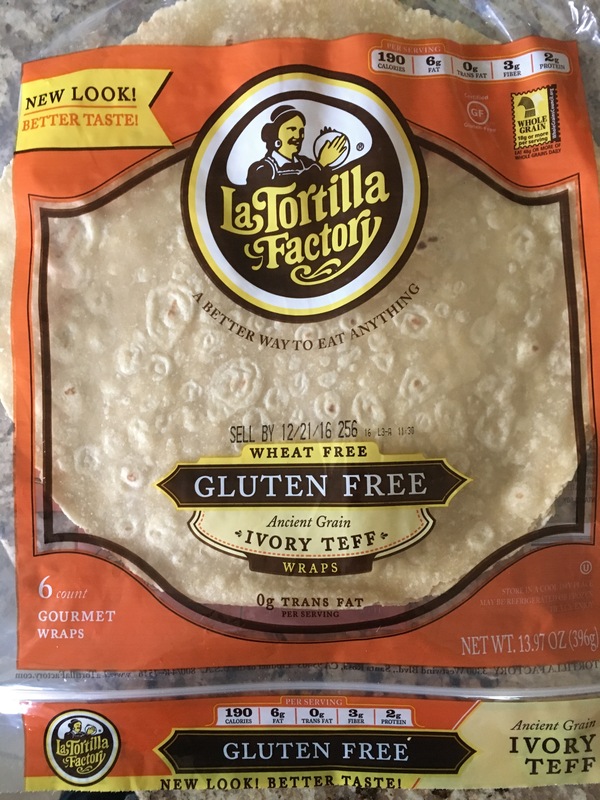 If I have homemade whole wheat tortillas left over then I’ll use those, but I don’t like the store bought wheat tortillas so I’ll sometimes get these Teff wraps from Sprouts when they’re on sale. 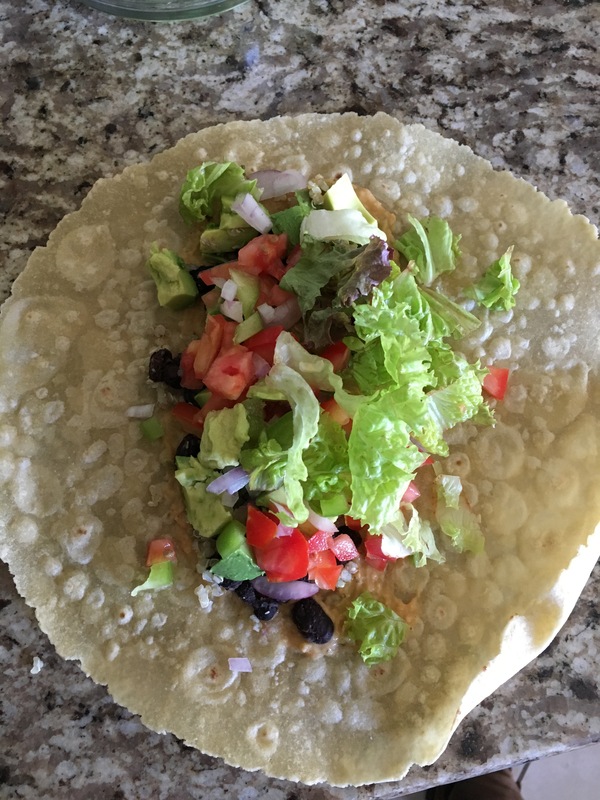 I like to warm up my wrap for about 30 seconds before I put all my toppings inside so that it’s nice a pliable. There is no particular way of doing this, and you really can use whatever veggies you like or have on hand, but I will almost always use either avocados or hummus for creaminess, I love to use black beans and sometimes I’ll put some quinoa in there(both of those things make it so much more filling and add a ton in nutrition), and I love tomatoes and red onions and greens or sprouts etc. I pull out my containers from the fridge with all my chopped veggies and I can throw this wrap together in one minute. Bam, done! And it’s healthy! I make this faster than I do my daughters PB&J (natural pb of course, and I get the fruit juice sweetened jelly). 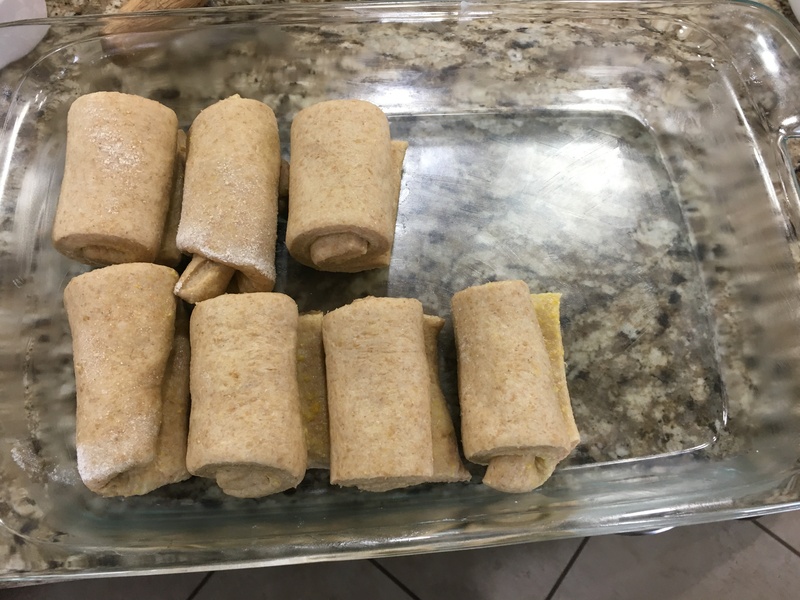 Warm up wrap for 30 seconds in microwave. Spread on a spoonful of hummus, then add whatever toppings you like. Roll up like a burrito, cut in half and it’s ready to eat!